WHAT IS A SUMMARY APPEAL? If you plead guilty to a traffic ticket or were convicted by a Magistrate, and don't like the result, you may have an opportunity to get a new trial if you act quickly. A summary appeal is an appeal of a conviction for a traffic or non-traffic offense that occurred in Magisterial District Court. If you have mailed in a guilty plea, or were found guilty after a hearing, then you have been convicted of the offense. To appeal a summary conviction, a summary appeal is filed at the Court of Common Pleas in the county where the traffic or non-traffic charges originated. If properly and timely filed, a summary appeal allows you to get a new trial before a Common Pleas Court Judge. To file a summary appeal, paperwork must be completed and a filing fee paid. If you cannot afford to pay the filing fee, the court may waive this fee. WHEN SHOULD I CONSIDER FILING A SUMMARY APPEAL? You were charged and convicted of a non-traffic citation, and want to keep the conviction off of your criminal history. In some instances, it may not be a good idea to appeal a non-traffic conviction when your charges originated as misdemeanor offenses. For example, if you were charged with misdemeanor Simple Assault, and the charges were reduced to a summary Harassment, the Commonwealth could seek to re-institute the more serious Simple Assault charges if you file an appeal. WHAT IF MORE THAN 30 DAYS HAVE PASSED SINCE MY CONVICTION? It may not be too late. Our firm can file a Petition to File a Summary Appeal Nunc Pro Tunc, which is a motion requesting that the court grant permission to file a late summary appeal. If granted, the court will permit you to file a summary appeal even if you have waited more than 30 days to challenge your summary conviction. 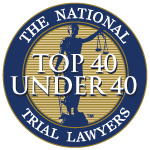 To succeed on a Petition to File Summary Appeal Nunc Pro Tunc, you must successfully argue that the appeal was not timely filed within 30 days due to fraud, the ineffective assistance of counsel, or a breakdown in the court's operations. Depending on the circumstances of your case, some Assistant District Attorneys will not oppose your request to file a late summary appeal. SHOULD I HIRE THE ZUCKERMAN LAW FIRM TO HANDLE MY SUMMARY APPEAL? Yes. Most of our summary appeal clients call us because they mishandled their own defense at the Magistrate's office, or mailed in a guilty plea to a traffic ticket that has damaging consequences. The summary appeal may be your last shot at avoiding points, a suspension or a record for a non-traffic offense. Get a professional on your side to help negotiate and advocate for the best possible result. The Zuckerman Law Firm handles summary appeals litigation throughout all counties in Western Pennsylvania, including Allegheny, Beaver, Butler, Fayette, Indiana, Lawrence, Washington and Westmoreland Counties. We encourage you to review our Results Page and call us at 412-447-5580 for a free consultation.